Is your roof in disrepair? Looking for a long term solution to your roof weatherization problems? 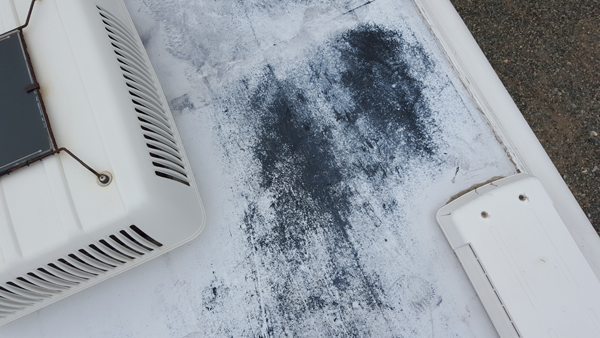 We are able to apply a rubberized coating that will completely seal out the elements. Eliminates the need for recaulking. 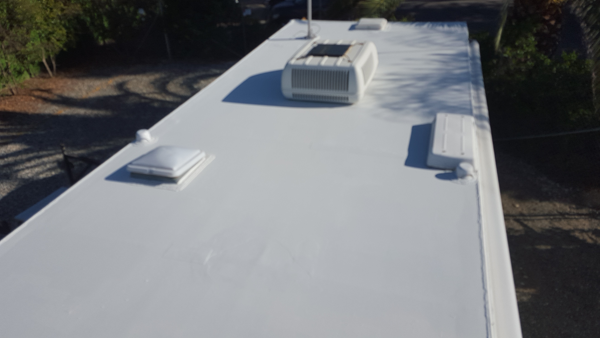 The coating is nearly 1/4 inch flexible, rubberized coating will cover cracks and seal out moisture, preventing damage which will increase the life of your RV. Our rubberized coating also insulates, reducing heat. Won’t crack, peel or flake! Eliminate the need for caulking!